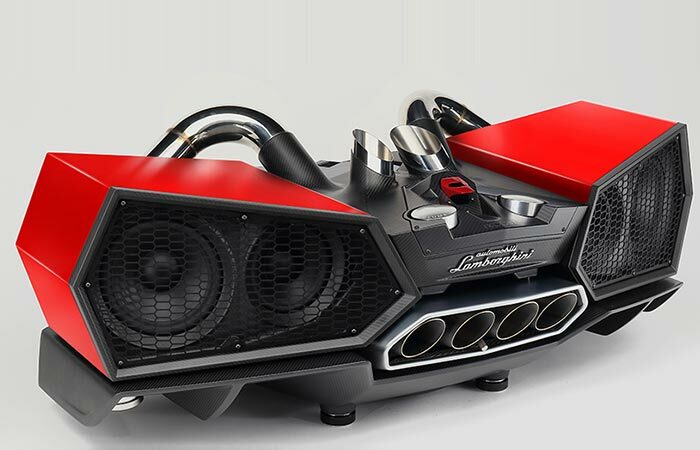 If you’re as much of a Lamborghini lover as we are, then you are going to be amazed by this sound system. Essentially a collaboration between Lamborghini and Ixoost, the Esavox Sound System brings you timeless Lamborghini design with super sound. Constructed with a stock Automobili Lamborghini exhaust and follows the same graceful, yet, powerful curves of Lamborghini’s design. Besides, this sound system is as much a show piece as it is a speaker system. 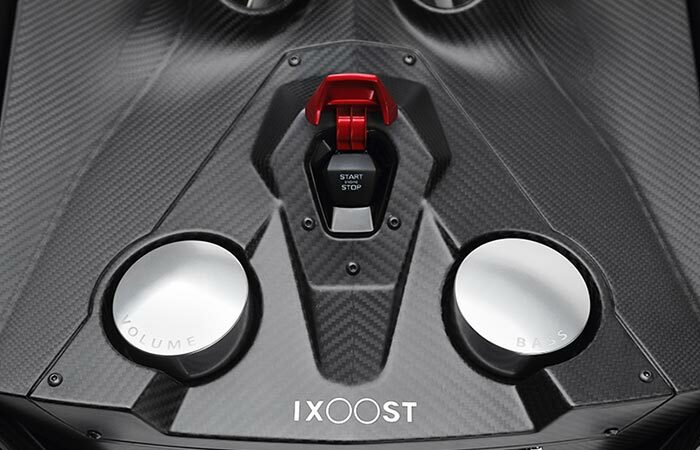 Interesting enough, Ixoost even opted to use monocoque carbon fiber and wood in their design. To pay homage to the Italian supercar manufacturer. The Esavox sound system was constructed out of monocoque carbon fiber and wood. It also pays homage to the style of Lamborghini. 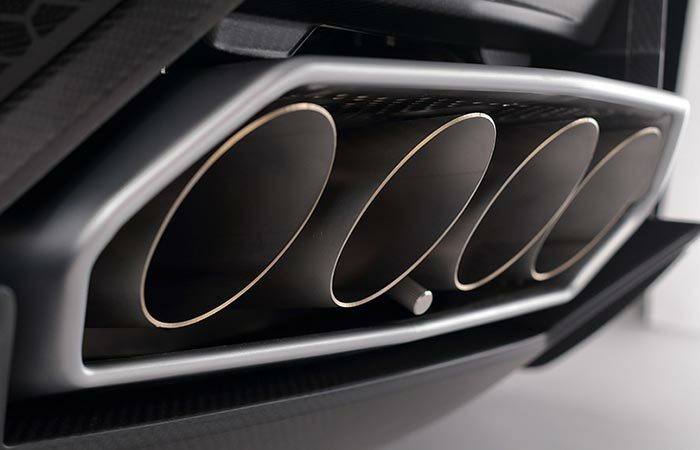 The main feature of the Esavox is the addition of the original Lamborghini exhaust. It gives this sound system the look and feel of a real car, whilst giving style to the rest of the components. It also doesn’t skip out on auditory power either. This sound system features 600 watts that are divided between the six ½-inch full range speakers, the 8-inch carbon woofer and dual 1-inch Mylar tweeters. The 8-inch carbon woofers are housed within the twin handmade hexagonal side cabinets while the Mylar tweeters are hidden within two of the exhaust pipes. Check out the video below. It even features a pilot on button, as you would find in a genuine Lambo. In addition to this, 200 additional watts are designated towards the 15-inch neodymium subwoofer. All of this is managed by twin 24-bit digital signal processors. Essentially, it delivers incredible sound in amazing quality. The exhaust system is also a genuine Lamborghini exhaust.